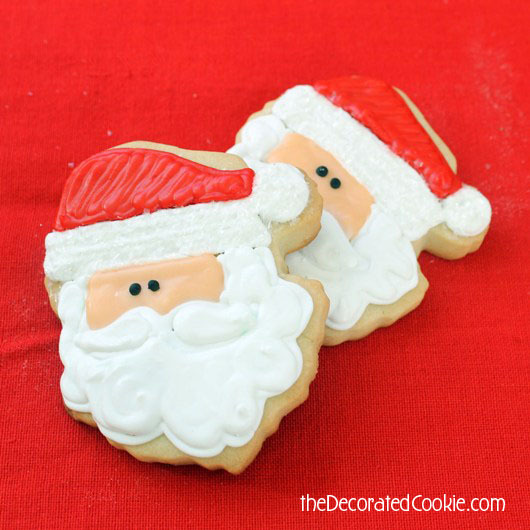 ‘Tis the season for decorating cookies! 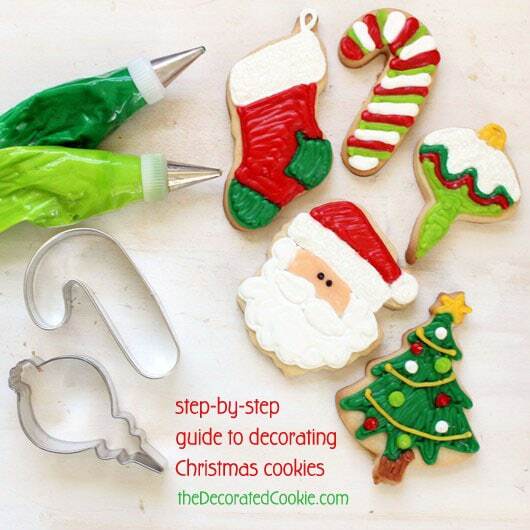 Here is a step-by-step guide to decorating Christmas cookies. 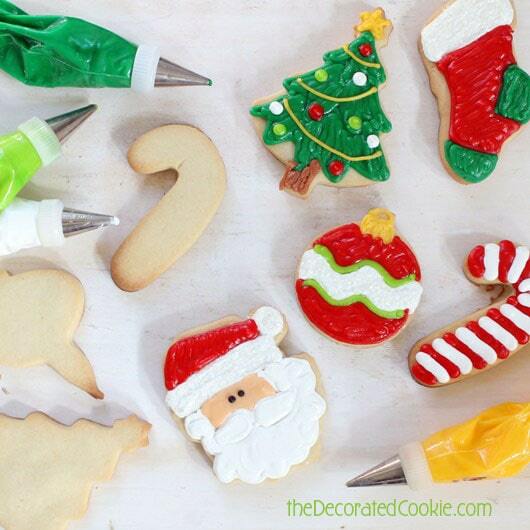 Decorating Christmas cookies this season? I have you covered! 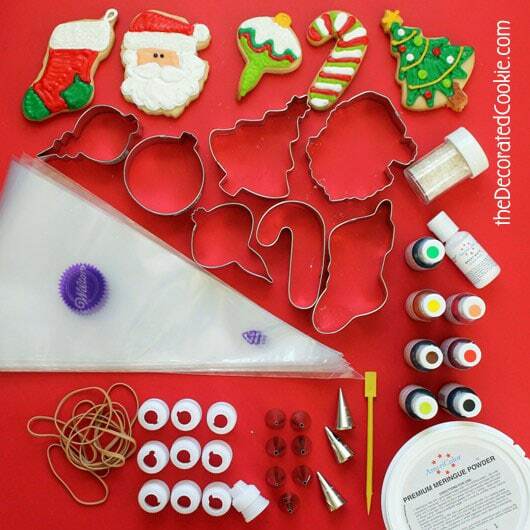 Everything you need to know about Christmas cookie decorating is right here. 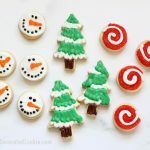 I cover the supplies you need, recipes for icing and cut-out cookies, tips on cookie decorating, how to decorate each of the cookies seen here, and how to make-ahead and freeze cookies. *Find more information and resources on where to buy supplies HERE. 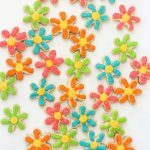 Or, for way more information and resources, get Sugarlicious (hint, hint, makes a great present). I’ve also included links below to these products on amazon. 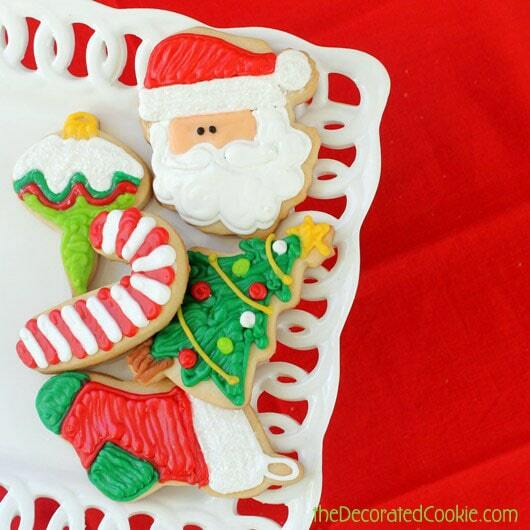 You can learn much more about decorating cookies in my book, Sugarlicious. I also have detailed cookie decorating instructions HERE. 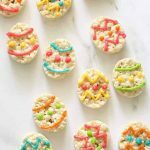 and a cookie decorating cheat sheet here. 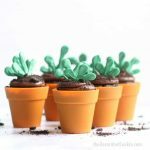 Both of these resources cover the “outline and flood” method, in which you use two consistencies of icing, a stiffer icing to outline and a thinned icing to fill, giving you a nice, smooth background. Here, however, we are going to use only one consistency of icing to keep things simple. This consistency is somewhere in between a stiff outline icing and a runny flooding icing. You can certainly adjust these instructions if you wish to flood the cookies instead. But as I get older and a little lazier and less concerned with perfection, I usually end up with just the one consistency, but be warned that this means you may sometimes see the “lines” of icing more. 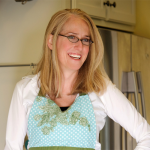 Don’t miss all the “Make-Ahead” tips below! 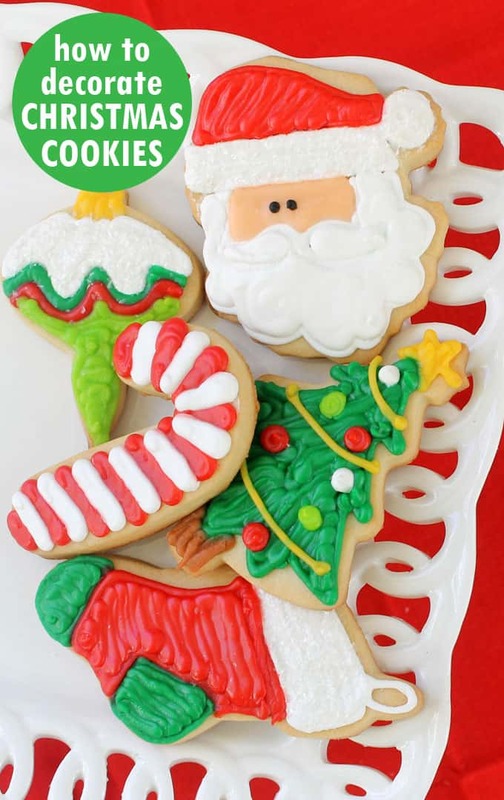 Illustrations below, except for the cookie decorating how-tos, are from Sugarlicious. STEP ONE: Prepare your icing. First, prepare your icing, divide it, color it and fill your decorating bags. 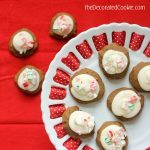 My favorite royal icing recipe (which dries hard enough to the touch to handle the cookies, but doesn’t dry so hard as to be unappetizing) is found HERE on my recipe page, but I’m also including below. 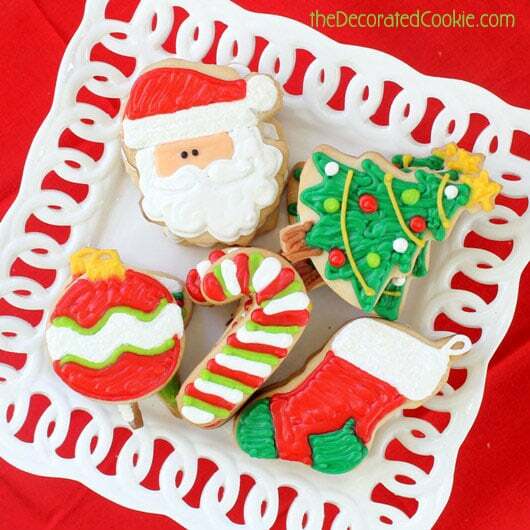 Make-ahead tip: You can prepare your icing, color it and put it in the decorating bags up to a week before you decorate the cookies. Just store at room temperature. 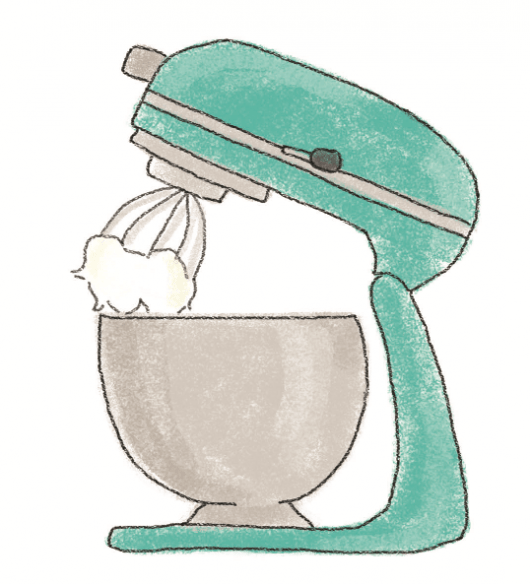 Whip the meringue powder and water on high speed with a hand mixer or with the wire whip of a standing mixer for several minutes, until mixture is fluffy and peaks form. Add 3 cups of the confectioner’s sugar and blend on low. Blend in the rest of the ingredients. Add confectioner’s sugar, a cup at a time, until desired consistency is reached. You want the icing not to be so stiff you can’t squeeze it out of the bag, but not so runny it runs everywhere. If you take a spoonful and overturn it, it should cling to the spoon for a couple seconds and then slowly fall into the bowl. The thinner the icing, the less likely you’ll see the “lines” of the icing when you pipe, but don’t make it so thin that when you outline, it won’t hold it’s shape. Store at room temperature in a sealed container for up to a month. 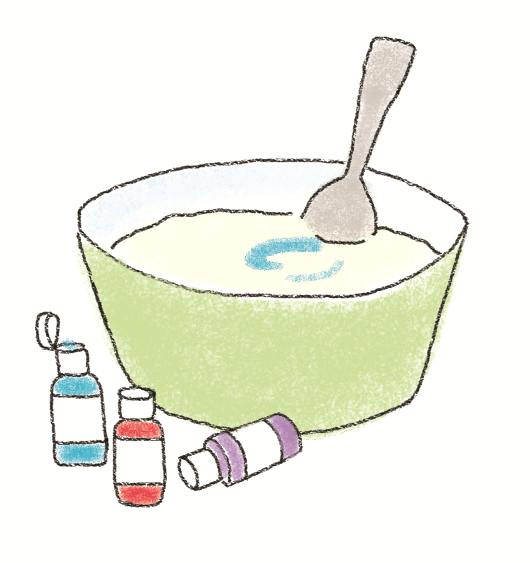 Divide the icing and tint your favorite colors by stirring in a few drops of food coloring. Start with just a drop or two of food coloring, and then add more as needed. Remember you can always add food coloring, you can’t take it away. 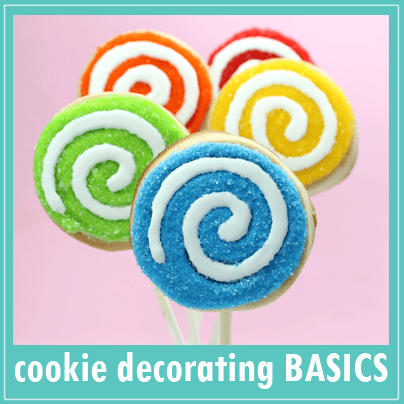 The amount of colors you’ll need for each depends on how many cookies you are decorating and what you are decorating. I usually tint about 3/4 cup to 1 cup at a time. To assemble a decorating bag with a coupler and tip, snip about 1/2 inch from the tip of the bag. Unscrew the ring from a coupler and insert the coupler into the bag, narrow end first. The coupler should fit fully inside the decorating bag. Hold a decorating tip over the cut end of the bag and onto the coupler, and screw the ring back on. Fold over the top of the bag to form a cuff, fill the bag with icing (about ½ cup to ¾ cup), twist the bag above the icing, and close tightly with a rubber band. Don’t worry about what tip size goes on what, you’ll be switching those all around anyway. STEP TWO: Make your cookies. This is my always-use, no fail cookie recipe. It holds its shape beautifully when baking. It’s also found HERE on my recipe page, but I’m also including the recipe below. Make-ahead tip: You can prepare your cookie dough and freeze it until ready to use, or refrigerate the dough for up to three days before you bake. Just let it sit at room temperature until it is still chilled, but easily pliable. Cream butter and sugar. Add egg and blend well. Add extracts and blend. Mix flour and salt and gradually add. Cover dough with plastic wrap (I usually put mine in a gallon size Ziploc bag) and chill dough for about 2 hours. Don’t skip this. You must chill the dough. Working with about 1/3 of the batch at a time, briefly knead the chilled dough and roll about 1/4 inch thick on a floured surface. Cut out shapes. Bake cookies on parchment paper-lined baking trays at 375 for 12-14 minutes. Thicker or bigger cookies may need up to 20 minutes. Just watch for edges that are nicely golden. Let cool completely before decorating. STEP THREE: Decorate Your Cookies. Now here’s the fun part. To pipe icing from a decorating bag, hold the bag in your dominant hand as though you were holding a glass of water. Rest your other hand on top of your dominant hand to steady the bag. It’s important to use two hands when decorating to make the lines steady. 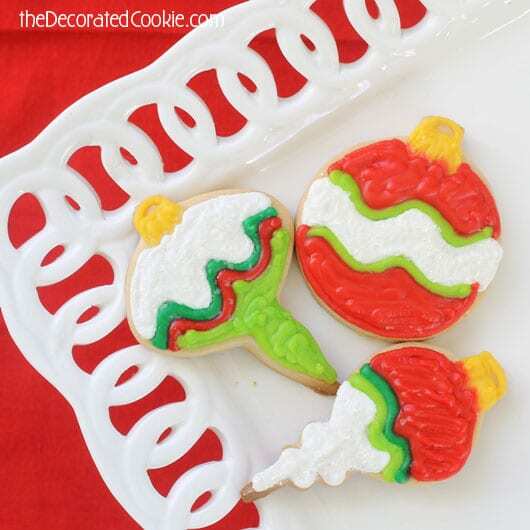 Squeeze with steady, consistent pressure to pipe the icing, letting the decorating tip hover about 1/4 inch above the surface and letting the icing “fall” to the cookie. To stop, quickly press the decorating bag down, then pull away. 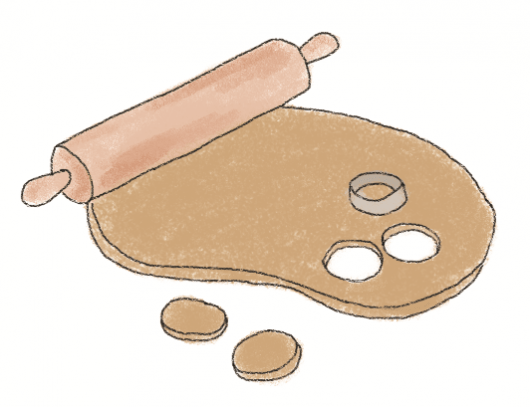 First, pipe the outline of your cookie design, then let the icing set about 15 minutes. 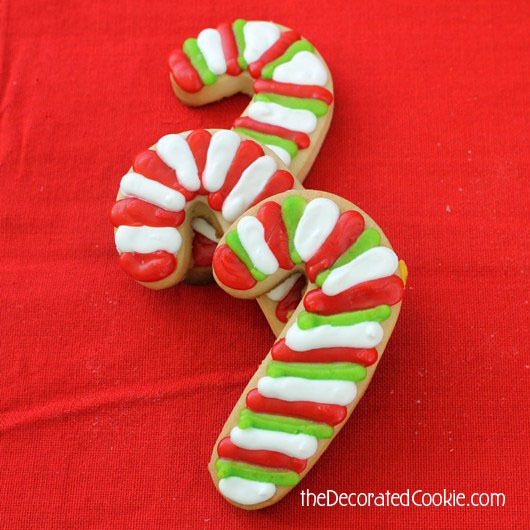 Then pipe back and forth in a zig zag motion to fill the entire cookie with icing, leaving no holes or gaps. When that sets about 15 minutes, add details on top. The beauty of using a coupler with your decorating bags is that you can switch decorating tips on the same color of icing without making a whole new bag. 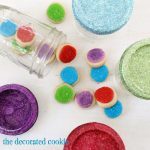 Below, I’ll give you the step-by-steps for each cookie as well as the size decorating tip you’ll put on the color used. Outline and fill the hat cuff and ball at the end of the hat with white using a 4 tip. Immediately coat with sprinkles and overturn to shake off the excess. Outline the beard and mustache with white and let set about 15 minutes before piping to fill the beard and mustache. Fill the face with peach using a size 3 or 4 tip. Outline and fill the hat with red using a 4 tip. When the peach icing has set, pipe two dots with the black using a 2 tip. Fit red, white and/or green icing bags with size 4 or 5 tips. Pipe stripes, alternating preferred colors. Outline the cuff with white icing using a size 4 or 5 tip. Let set and pipe to fill the cuff. Immediately coat with sprinkles, and overturn to remove the excess. Outline the toe and heel with green using a size 4 tip. Let set and pipe to fill the heel and toe with green. 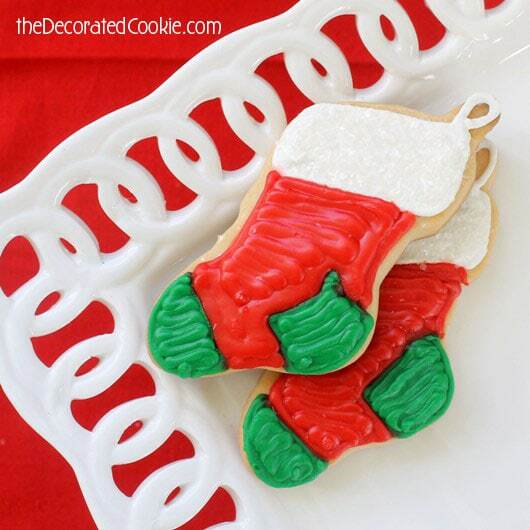 Outline the stocking in red using a size 4 or 5 tip. When set, pipe to fill the stocking. Pipe the star with yellow icing using a size 3 tip. 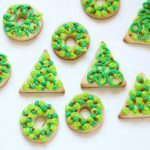 Outline the trees with green icing fitted with a size 5 tip. Let set 15 minutes, then pipe to fill the trees. Pipe brown icing using a size 4 or 5 tip to make the trunk. When the green has set a bit, pipe the strings of lights with the yellow, and pipe dots in different colors for ornaments. Use a size 3 or 4 tip with yellow to pipe and fill the ornament top. Decorate your ornaments however you like. To make white sparkle, outline a space with white using a size 4 tip. Fill and immediately coat with sprinkles. Outline and fill other colors and shapes on the ornaments. STEP FOUR: Wrapping and Freezing. Let the cookies sit at room temperature uncovered overnight at least so they are dry to the touch. You can now package the cookies in cellophane bags with ribbon or in gift boxes. If packed tightly enough, you can also ship these cookies. Make-ahead tip: I love to freeze my cookies, especially with the hustle and bustle of the holiday season. 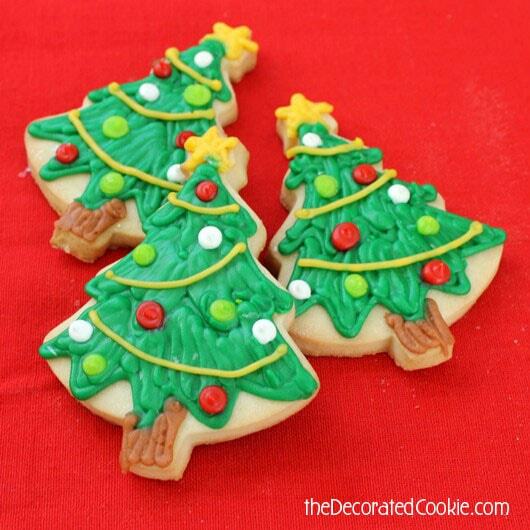 To freeze decorated cookies that are fully dry, place the cookies in a single layer in a Ziploc freezer bag. Stack the freezer bags of cookies in the freezer. To thaw, remove the bags from the freezer and let sit at room temperature. DO NOT open the bags or remove the cookies until the cookies have fully thawed, or moisture will affect the icing. 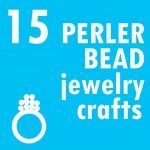 Here are some resources to buying supplies. You can also click HERE for a lot more information. hope I win, my son is taking baking in voc and this would be great for him! thank you. These are beautiful. 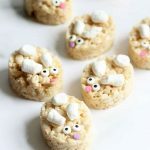 I love making cookies as a family or friends activity. Awesome cookies. Looking forward to making some to share with others! Thank you for your inspirational updates! I want to win! I can’t wait to decorate some cookies! Perfect draw date too. If I won it would be the best anniversary gift! My anniversary is 12/16. Yay for prizes! Thanks for the helpful hints for decorating cookies. I love the cookies and am excited to try some out . Really beautifully decorated and explained. And these cookies are Utterly beautiful!